I am so sorry I dropped a couple posts last week, my wonderful readers. I ended up with a nasty cold where even thinking got to be too much of a challenge. These spring colds are the worst. Not like having a cold any other time is a joy or fun. Having a cold as allergy season is flaring up and you’re getting outside again after being inundated with snow and cold all winter is even worse. And, to put the crowning touch on things, I may have passed it on to my son. He picked up the sniffles and a touch of a fever today. I’m hoping that will be it, but I don’t trust it either. I don’t seem to get that lucky. At least I’m over the dumb thing so if he ends up sicker than he is right now, I can take care of him. Okay, enough whining about stuff. Not how I operate anyway. I am excited to announce my two books will be back available soon! 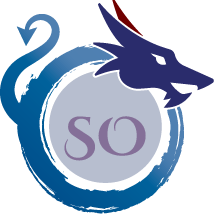 Scath Oran, my fantasy poetry collection, will be available on May 16th again with my new publisher. You can still get paperback copies with my old publisher’s imprint on a fire sale here, but the new publisher will release it in time for OWS Cycon. Then, Tattoos will be out late May or June. We are hoping to have a pre-order link up in time for Cycon. And my new publisher? Three Furies Press. They made their announcement opening their press earlier tonight. Some people might argue it’s a risk to work with such a new press. However, I also know the three ladies behind Three Furies Press and I trust them implicitly. So, stay tuned and I’ll keep you updated as we go. And watch for fantastic things from Three Furies Press because I know they’re coming. Last, but not least, I’m ending this post on a humorous and light note. Have you tried the new Peanut M&M flavors? There’s a jalapeno flavor I’m not even willing to try. Sounds way too weird for me. But I tried the English toffee ones and the Thai coconut ones. I’m not real impressed with the toffee. It’s got a funky taste that is more reminiscent of coffee than toffee. The coconut ones are not bad. The coconut flavor is decent, but there’s not enough of it there. Mostly, I think they should just leave M&Ms alone. They’re chocolate and that’s good. I mean, white chocolate is fine, but beyond that, you lose what makes them M&Ms. But that could be just me. Have you tried them? How do you feel about them? I’m glad everything is working out for you. I can’t wait to read more of your stuff. Thanks! That means so much to me! The gal in front of me at the checkout line bought the jalapeno flavored M&Ms. Yuck! I can’t even….why can’t they just let them be. I mean for goodness sakes, if ya want jalapenos, go eat jalapenos! LOL Glad you’re feeling better.